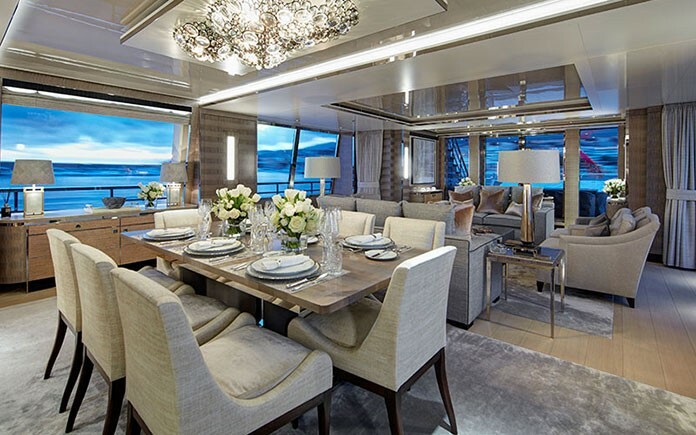 A wonderful opportunity has arisen to purchase motoryacht KISS, the Y.CO yacht of the month. 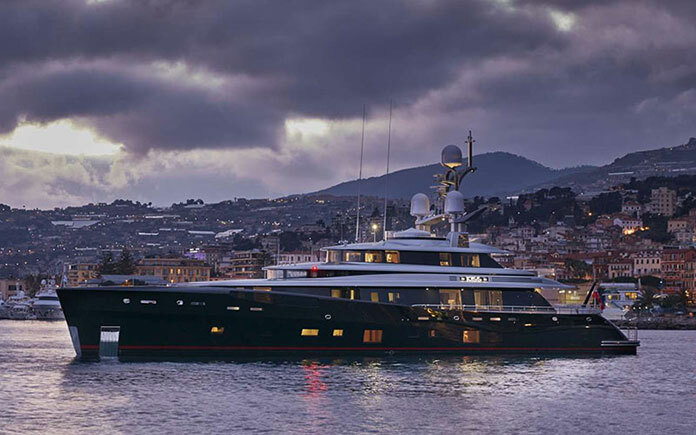 M/Y KISS is a stunning 46.6m superyacht, launched by Feadship in 2015. 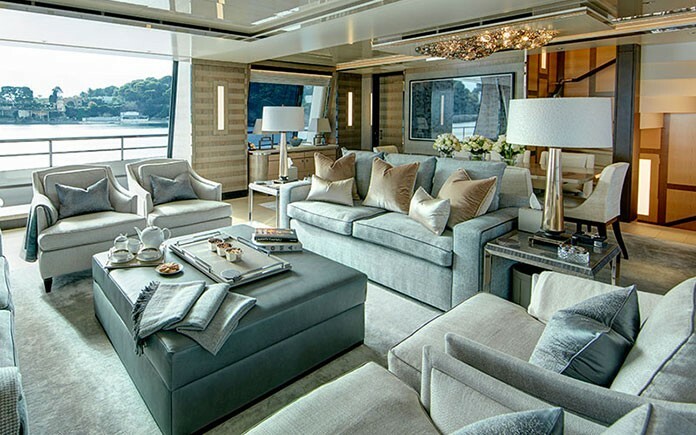 She features superb naval architecture by Dubois Naval Architects and a luxurious light-filled interior by Redman Whitely Dixon. 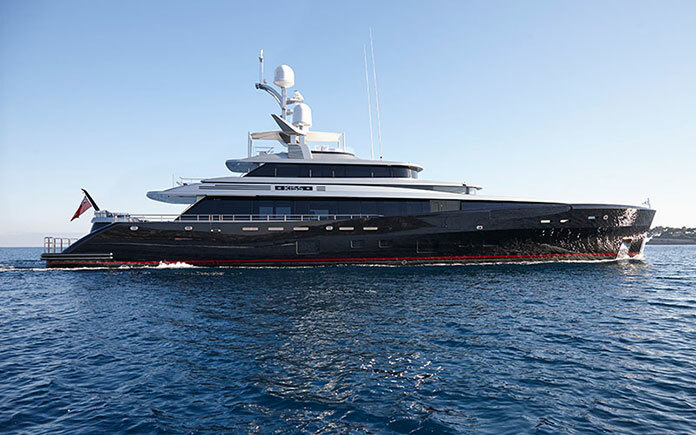 With a gleaming black metallic hull sporting a red racing stripe, the yacht’s sleek lines and low silver superstructure evoke a striking image of grace and power. 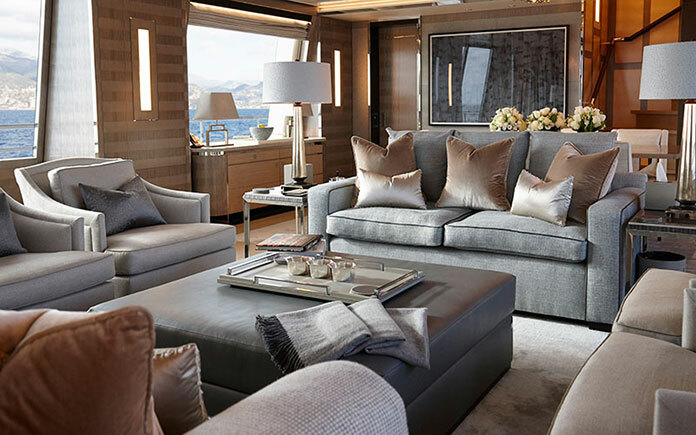 On the interior, M/Y KISS epitomises luxury, with silken carpets, natural wood tones and soft fabrics of the palest grey and cream. 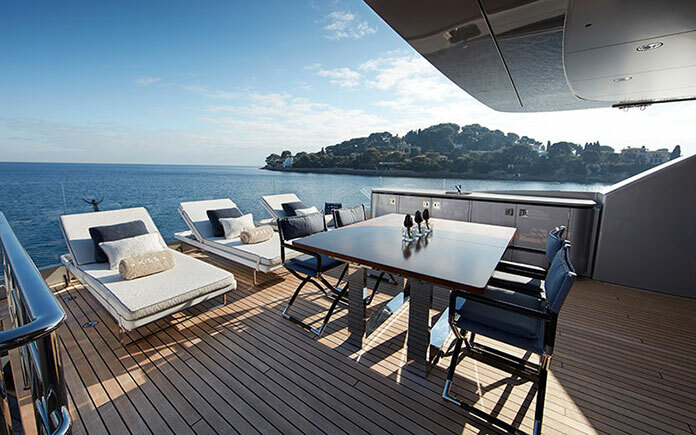 Onboard KISS the transition between outdoor and indoor spaces is seamless, with floor to ceiling glass and large windows allowing the light, views and sea breezes to enter this inner sanctum of calm and serenity. 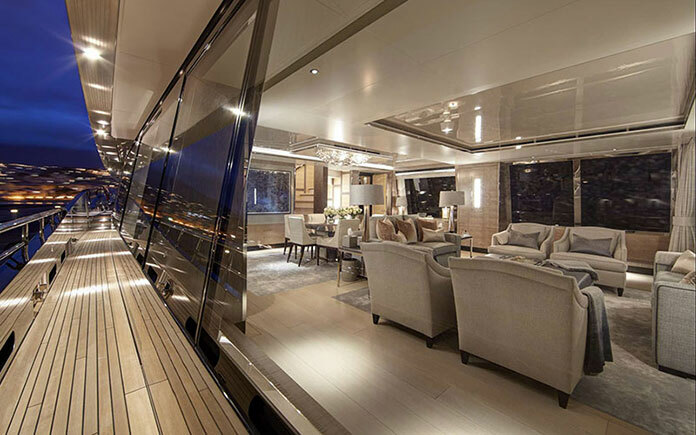 Of particular note are the large sliding doors on either side of the main salon, which makes the space feel immensely welcoming as a place to gather and drink in the scenic views. 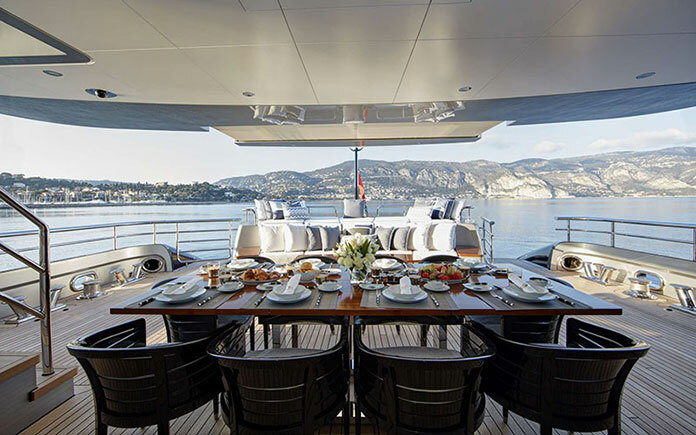 The excellent naval architecture by Dubois has afforded M/Y KISS facilities and features rarely found on a yacht in this size range. 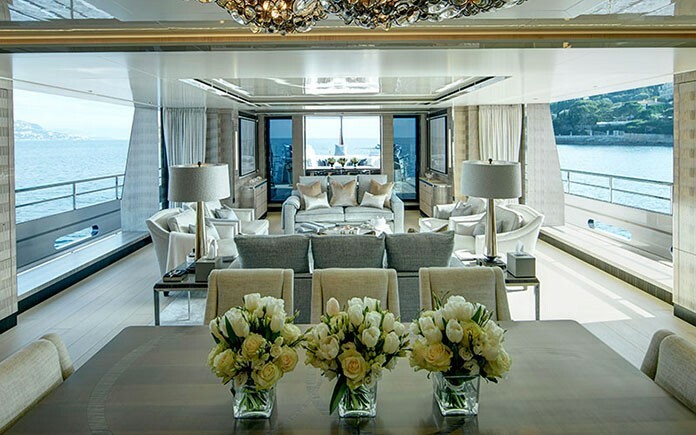 With six cabins, including a dedicated owner’s deck and a main deck VIP stateroom, you could be forgiven for thinking you were on a much larger superyacht. 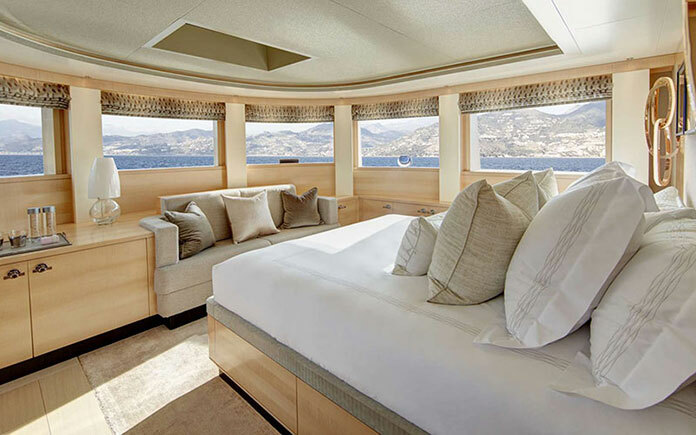 The master suite offers breathtaking panoramic views to wake up to, with a sliding sunroof in the ceiling that allows sunlight and fresh air to stream into the cabin. 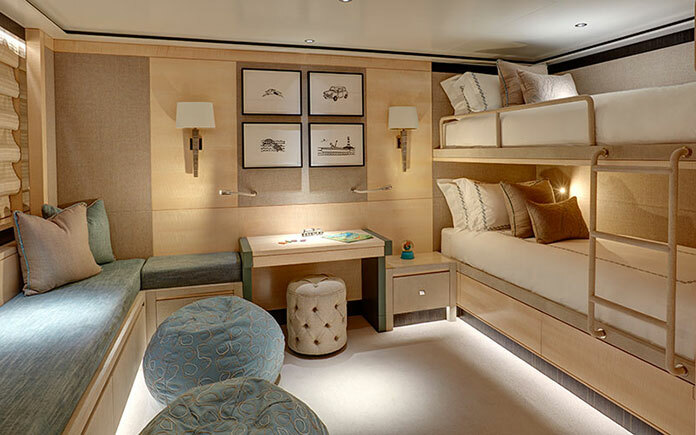 The lower deck layout is ideal for families with a double stateroom and three generous twin cabins, one of which converts to a double. 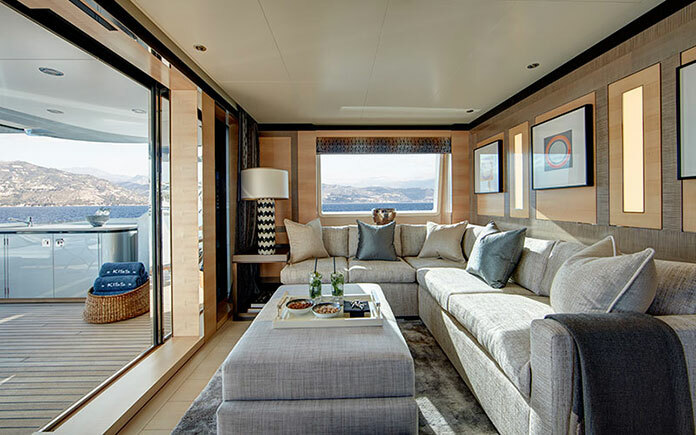 The unusually large windows in the cabins emphasise the fresh, light-filled theme seen throughout the rest of the yacht. 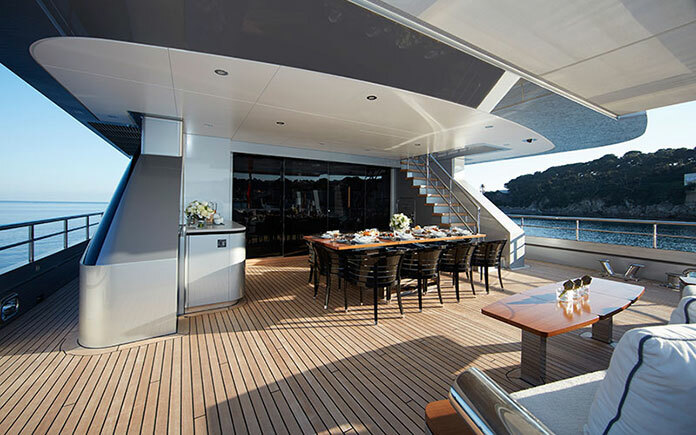 Out on deck, KISS offers spacious entertaining areas, with a dining area on the aft deck, and elegant dual staircases leading down to the swim platform, which incorporates an extendable underwater platform. 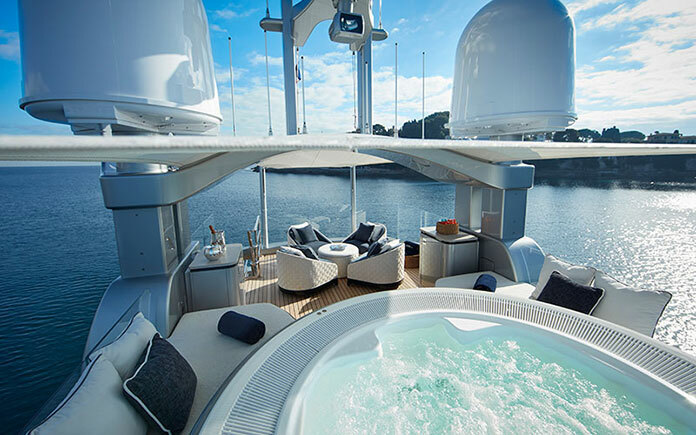 On the sundeck, an adjustable Bimini cover shades a raised Jacuzzi and a comfortable seating area. The magnificently curved radar arch provides an artistic touch to a functional structure. KISS is as well engineered as she is stylish, benefitting from the innovative technology and attention to detail that is characteristic of the Feadship brand. 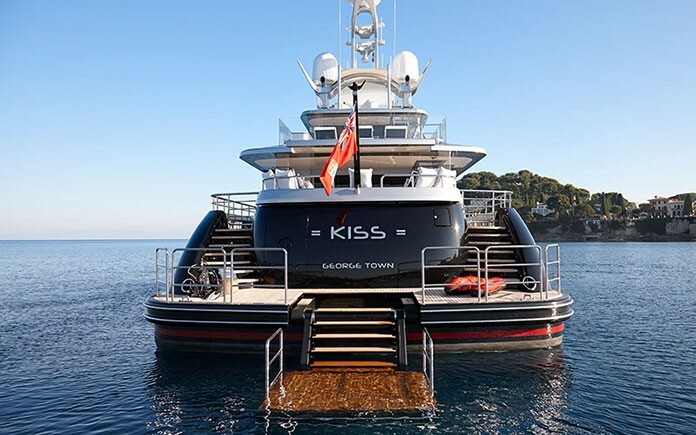 KISS has a transatlantic range and travels at a top speed of 16.5 knots and a cruising speed of 12.5 knots under her twin C32 Caterpillar engines. 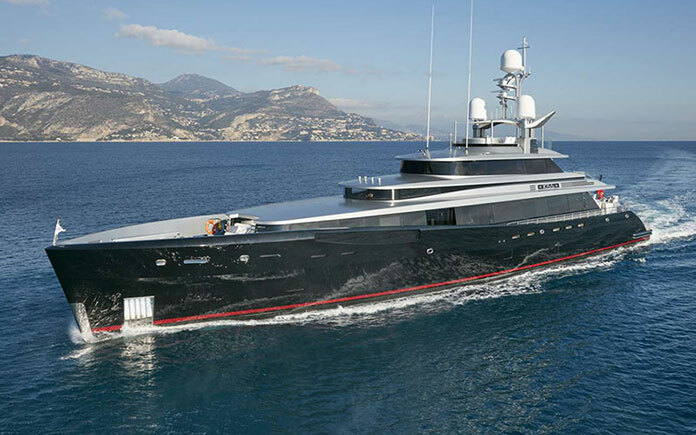 Kiss is an exceptional superyacht for sale with few rivals in her class. 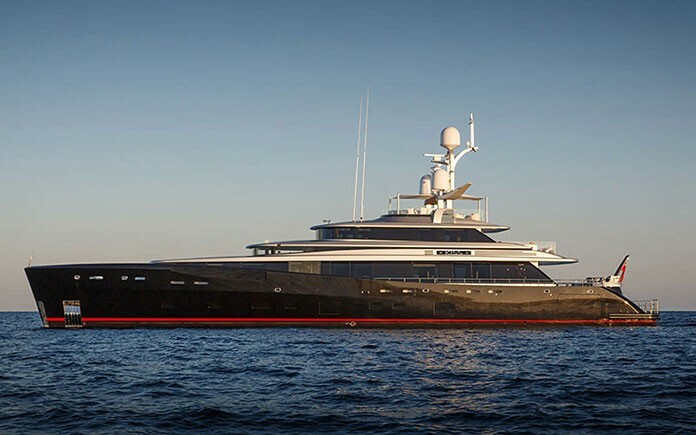 She is available to purchase for EUR 34,950,000.